I am blogging from my phone waiting for my dermatologist to come in the room. Yes I am wearing one of those hospital gowns. Ina slept from 8 to 7:15 last night, so when I woke up and it was light out I knew I was going to have to hurry to make my appointment. I didn't even have time to make coffee. Don't worry, I picked some up on the way. Normally I would just skip a post, but I don't want my grandma to think that we had another ER trip this morning. Don't worry grandma, I just forgot to set my alarm clock. 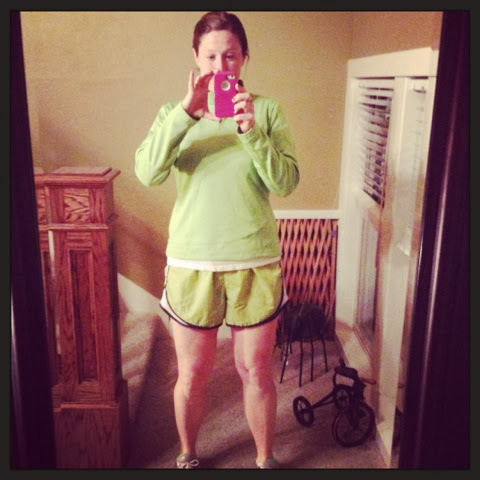 I ran 3 miles in the dark: bright clothes are required. lol too funny! 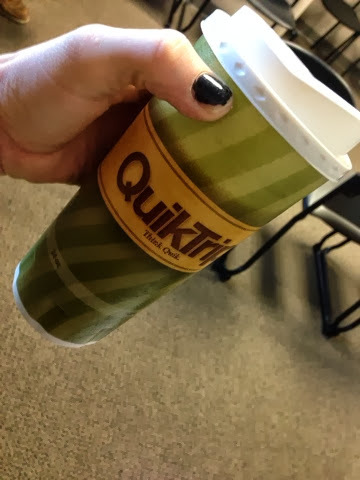 yay for coffee!